Draplin Design Co.: DDC-092 "Space Shuttle Tribute Patch"
First we made the poster. Then the torso cover. And now the patch! Lift-off! 04. Big, thick-lined shuttle. Atmospheric re-entry. Colorful. 05. Space Camp, Space Coast, Space Race, Spaceballs. 06. Great for jean jacket, hat, backpack, fanny pack or space activity suit. 07. 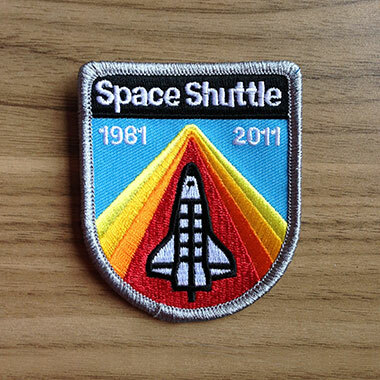 Perfect little patch to remember that majestic shuttle program. 08. Fellow “Children of the Space Shuttle,” you need this.